On the 21st: We talked about Emmett Till's murder, the aftermath, and how it sticks with us today. Plus, why some partners are uncomfortable to admit when wives earn more than husbands, and what can be done to get And, we took a look on President Trump's visit to Granite City last week. 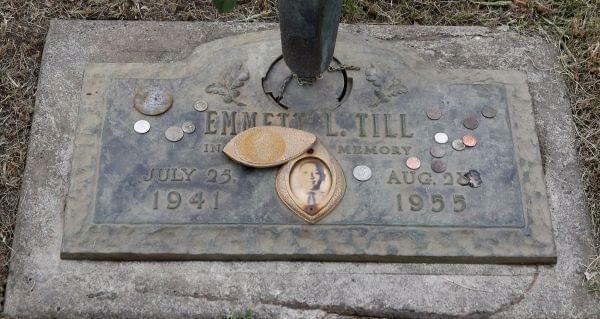 The FBI has reopened the case into the killing of Emmett Till, a 14-year-old black Chicagoan who beaten to death in 1955 in Missippi, after an encounter in a store with a white woman named Carolyn Bryant. Many of us learned about Till in school and remember the disturbing photos of his open casket — a stark example racial violence from our past. The actions of his mother, Mamie Till-Mobley, to have an open casket — and the subsequent publishing of those photos - became a defining moment in American history. While those images continue to haunt us — as it turns out, there are still many questions about his death, some six decades later. An all-white jury found Carolyn Bryant’s husband and brother-in-law not guilty. But months after that not guilty verdict, the pair confessed to beating, killing and throwing Till into a river to Look — which paid them three thousand dollars for their story. Timothy Tyson was on the line with us today. He’s the author of The Blood of Emmett Till, a senior research scholar at Duke University and an adjunct professor of American Studies at the University of North Carolina. We wanted to spend a little time today talking about money — specifically relationships and money. In fact, think about the last time you got into an argument about money with your partner. This is also an issue that makes a lot of people squirm. Let’s take salaries. According to a new paper from the Census Bureau, when women earn more than their husbands, both of them may be so uncomfortable with it that they lie...to the government. This is still a relatively small group — women who are the top earner in their family -- but it’s a growing one. Joining me to talk about this was Professor Tamara Goldman Sher. She’s a Clinical Professor at the Family Institute at Northwestern University, where she’s speaking to us from our studio at the Medill School of Journalism. And Annie Logue, who is the author of a number of books in the “For Dummies” series about finances and investing and is a lecturer at the University of Illinois in Chicago. "I would encourage people to talk about it, have some ideas, and most importantly negotiate what will work for you, your partner and your family." — Tamara Goldman Sher on the unspoken rules of partnership. Donald Trump’s name won’t be on the ballot this fall, but whether or not voters like what he’s done in office could determine whether Democrats or Republicans will win their elections - whether it’s for Congress, for governor, or for other state and local offices. President Trump spoke at a local steel mill in Granite City where some 500 workers were brought back on the job because of his administration’s tariffs on foreign steel. Joe Bustos was there at the steel mill covering the president’s visit for the Belleville News-Democrat, where he’s a reporter. Mark Maxwell was also on the line from Springfield, where he’s capitol bureau chief at WCIA3.